From the Adirondacks to Pelican State Beach, “California’s loneliest beach,” our billboards are some of the hardest to find . The Adirondacks in NY (3,631 weekly impressions) – home to the largest U.S. park outside of Alaska filled with trails, mountains, waterfalls and lakes. The Smoky Mountains in TN (2 billboards that each reach about 23K weekly impressions) – which has more than 800 miles of hiking trails. Copper Harbor, MI (5,106 weekly impressions) – an outdoor enthusiast’s dream with hiking, mountain biking, kayaking and more, located in NW Michigan. Crescent City, CA (16,861 weekly impressions) – near Pelican State Beach, which is known as “California’s loneliest beach” because of its remote location. We selected the locations to bring to life Pacifico’s sense of discovery and meet our core “adventure seeker” fans where they naturally pursue their outdoor passions. 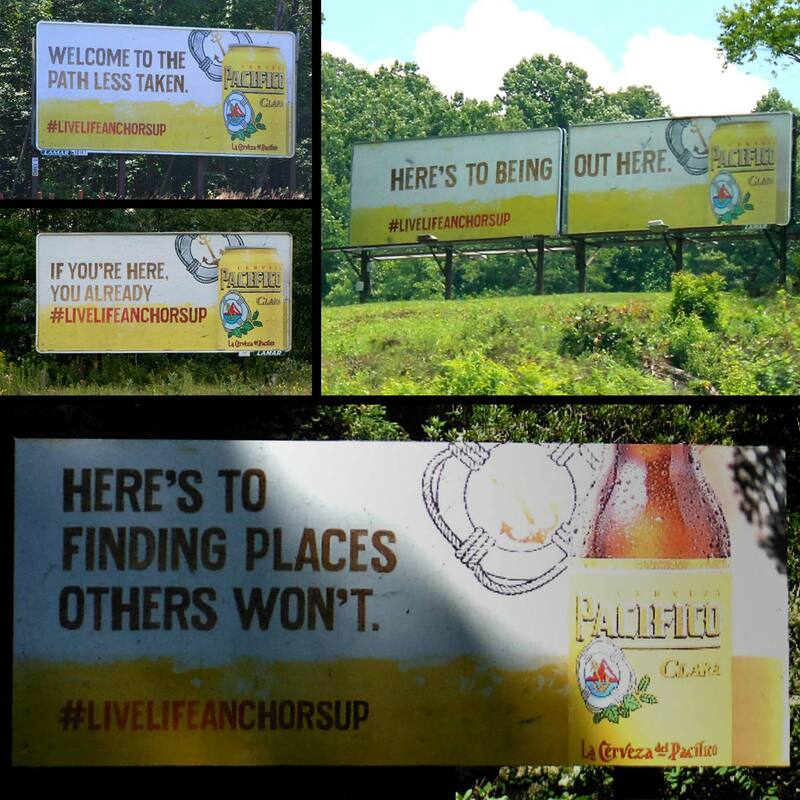 Sure, we have billboards that reach 400k people a week but, these remote billboards are out living their best lives, in special places and spaces, just like our Pacifico fans. In a world that reinforces the conventional path in life, adventure seekers follow their own compasses because they know it leads to a richer life.